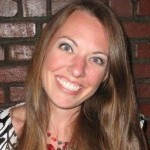 For most families, hectic schedules can lead to cut corners when it comes to meal preparation. Frequent trips to restaurants and grocery store hauls of the cheapest and quickest dinner options can easily become the norm. To this kind of family, the frozen food aisle is a popular stop. While quick meal options offer convenience, sometimes nutritional value is often sacrificed. While it is true that frozen food loses some of its nutritional value during storage, it is often more nutritious than the fresh food readily available in your grocery store. Because out-of-season produce is frequently picked before it has fully ripened and then stored and shipped long distances, it loses a great deal of nutritional value before it ever lands on your plate. 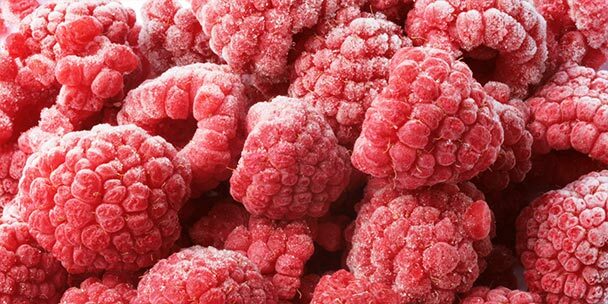 By comparison, frozen foods are generally picked at the height of ripeness and flash frozen to lock in nutrients. Whether you are preparing fresh or frozen vegetables, the cooking process you choose can affect the nutritional value of your food. When it’s time to prepare your frozen vegetables, opt to use a steamer or microwave them instead of boiling them. Steamed vegetables retain more of their nutrients than boiled vegetables. Although grocery freezers are laden with unhealthy frozen dinners and processed meal kits, there are plenty of healthy choices as well. When selecting frozen foods, opt for whole and natural foods whenever possible rather than reaching for highly-processed products. Just make sure to check ingredient labels and avoid those with long lists of preservatives and additives. Know that the freezing process is a natural preservative method on its own. 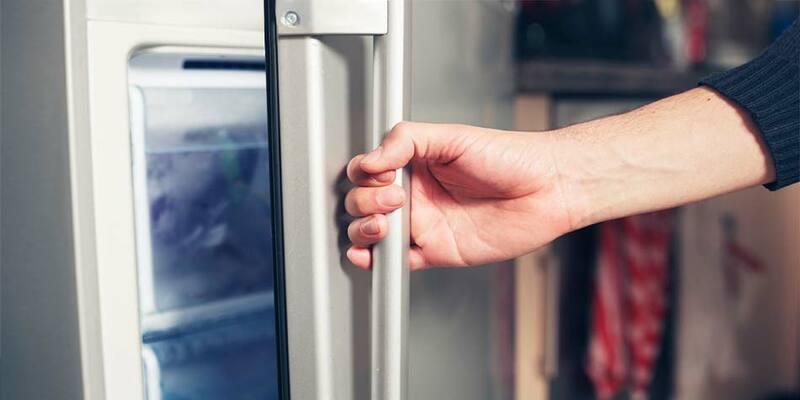 When it comes to storing your frozen food back at home, be sure you know the best type of freezer for the food you tend to freeze the most of. If you crave the ease of frozen casseroles, soups, and stews on busy nights, consider making them yourself. Because you control the ingredients, you can be assured that they are healthy. The next time you make a batch of lasagna or a pot of chili, double the recipe and freeze half for later. This can help you save money by encouraging you to buy in bulk. If you frequently practice this habit, it can make your freezer storage a little hard to manage. Please read our article on freezer organization to help you keep your kitchen functional and neat. Frozen food doesn’t have to be more expensive than fresh food. Prepackaged convenience foods are often more expensive than whole frozen foods like potatoes and vegetables. However, even the convenient frozen foods are far cheaper than a high-priced restaurant bill. Although you may find great deals on in-season produce, those same fruits and vegetables can bring a hefty price tag in the off season. Stocking up on frozen fruits and vegetables can save you money on your yearly grocery bill. It might even be a good idea to invest in a second freezer in order to ensure you have enough space to hold all of your frozen foods. 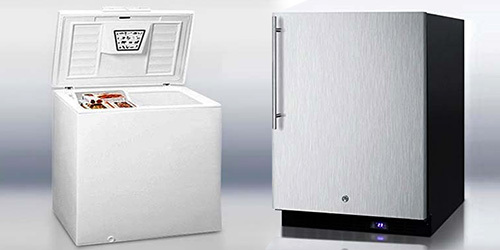 Check out our article on various refrigerator/freezer styles to help learn which one would best suit your needs. Many foods can be frozen effectively and maintain their original flavor and texture. However, some foods are not good candidates for the freezer. 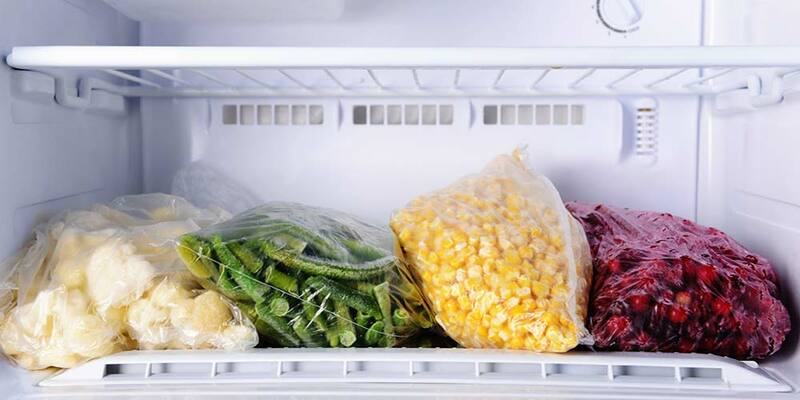 Some foods quickly lose flavor when stored in the freezer. Examples include cream-based sauces that separate during freezing, as well as coffee that rapidly loses flavor when frozen. Fruits and vegetables that have a high water content, such as watermelon and lettuce, also don’t freeze well and will often thaw out much soggier than they were before they were frozen. According to the USDA, eggs in their shells and canned goods also should not be frozen. To freeze eggs, instead crack the shells and pour the eggs into a bowl, ensuring that no air is incorporated in the mix. They can be kept frozen for up to a year. If you want to freeze canned goods, first remove it from the can and repackage it in freezer-safe packaging. 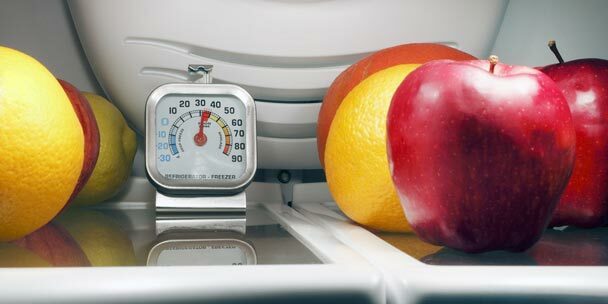 When preparing fresh foods for freezing, there are a few safety tips to keep in mind. While it is true that freezing food makes bacteria inactive, it doesn’t eliminate the risk of bacteria. Once the food is defrosted, any harmful bacteria on the food remains. The only way to make sure that your food is safe is to cook it to the recommended temperature. When freezing your own food, there are a few things you can do to minimize contamination. Just like when you cook, it’s critical to wash your hands thoroughly before preparing foods for the freezer. Wash fresh fruits and vegetables thoroughly and allow them to dry before packaging. Always use clean containers to package foods to be frozen. It’s true that frozen food has a far longer lifespan than its fresh counterparts. 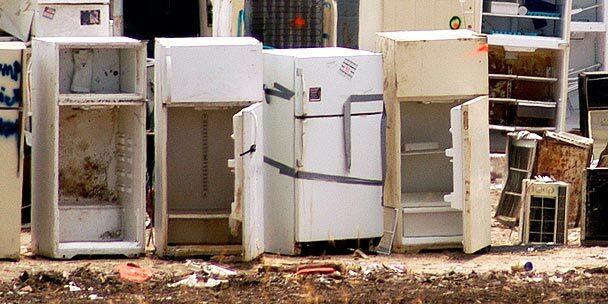 However, frozen foods begin to lose quality and taste if they are stored too long. Here are some common frozen foods and their expected lifespans. 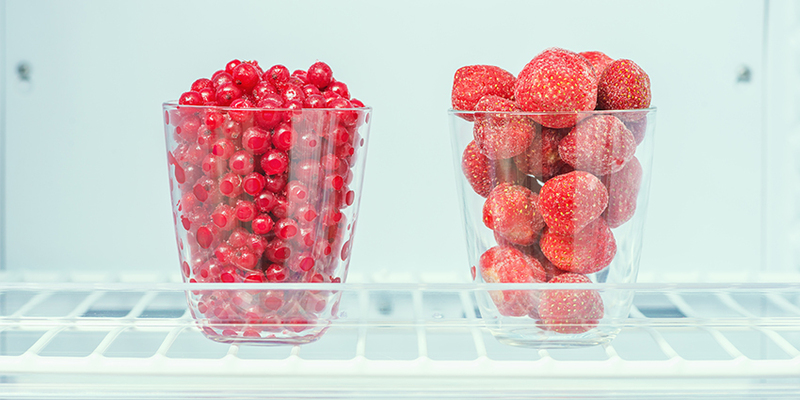 When freezing fresh foods yourself, there are a few tips to extending their storage life. Blanch vegetables before freezing by scalding them briefly in boiling water or steam. Blanching halts the enzyme processes that cause loss of flavor and nutrients during freezing. Cool all foods completely before putting them into your freezer. Be sure to package foods properly in moisture-proof packaging and remove air from freezer bags before storing them. It is, in fact, possible to refreeze food. If you pull out a roast for dinner and put it in your refrigerator to thaw only to later change your meal plan, you can safely place it back in the freezer. Avoid refreezing food that has sat out at room temperature for more than two hours though, for this can degrade the quality of your food due to moisture loss. What should you do if the power goes out? While it might be tempting to check on your stocked freezer to see how the food is holding up, resist the urge. Leave the freezer door closed to keep the temperature down. 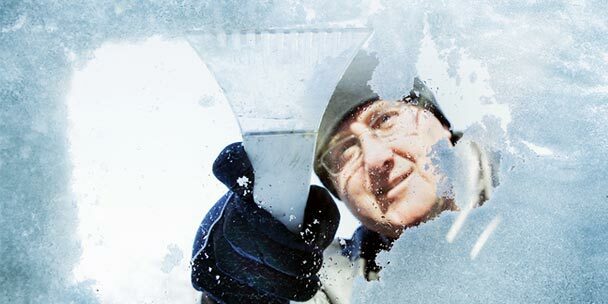 A full freezer can stay frozen up to two days. If your power is out longer than two days, try to cook and eat as much as possible. It may be a good time to invite over family and neighbors for a buffet rather than seeing your food go to waste. As you consider stocking up on frozen foods, keep the facts in mind. With proper handling and storage, frozen foods offer both convenience and nutrition. By reading ingredient labels and choosing high-quality, whole food options, you can ensure that you always have a ready supply of healthy foods on hand. If you would like to learn some tips and tricks to extend your food’s freezer life, your can read more here .